Who’s hungry? Then have a seat and dig in! The practical Dining Set provides space for up to four Little Friends bendable dolls. 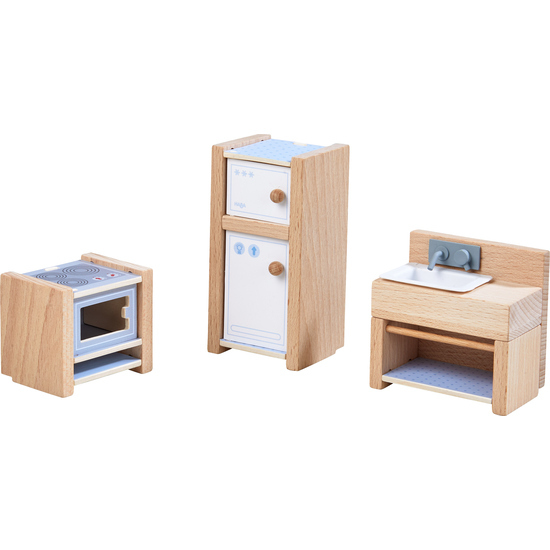 The carefully designed dollhouse furniture suits every Little Friends dollhouse. Contents: 1 oven, 1 refrigerator, 1 sink.